A traffic stop for a speeding ticket escalated quickly in Wiscasset, Maine, this weekend, and ended with assault charges and an officer in the hospital when the officer was stuck with a used heroin needle, reports WCSH. 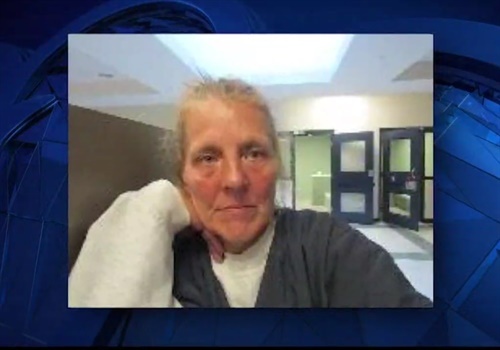 Police Chief Jeffrey Lange says he pulled over 50-year-old Jene Sherman of Dresden Sunday, and when he looked inside her car, she had drug paraphernalia out in the open. He called an officer for back-up, who conducted a search of her purse. "We asked her repeatedly if she had anything that would poke us, hurt us, or stick us," said Chief Lange. "She said, 'Absolutely not.'" The Chief is not naming the other officer on scene, but says when he reached inside Sherman’s purse, he got stuck with a needle. "[Sherman] admitted later that the needle had heroin in it, and … old blood," said Lange. The officer was taken to a nearby hospital and tested for infections. His HIV test has come back negative, but police are still waiting for results of a hepatitis test.